Egypt faces a series of economic and social challenges as it endures a period of transition. Civil unrest has caused many vital institutions, such as schools and businesses, to close their doors. Some estimate that the true costs of the strife could be as high as $300 million each and every day. However, the recent events in Egypt have provided some insight into how development initiatives should be organized in the future. When Egyptians first took to the streets in 2011, they used technology to organize and coordinate with one another. Spurred on by social media posts, emails and text messages, the protesters successfully gathered to demand change. While the country’s future political stability remains uncertain, we are sure that Egypt will continue to use these same technologies long into the future. Global economies are founded on the abilities of people to more productively utilize the tools at their disposal. At its current stage of development, Egypt has the means to produce high-tech goods and services, but lacks the people who are skilled in the jobs of the future. We have chosen to focus on that deficiency. In partnership with the United States Agency for International Development (USAID), HANDS established ETI. 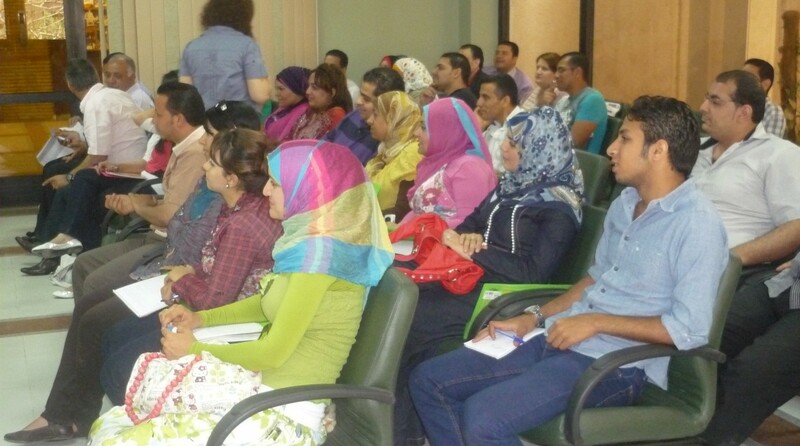 ETI is a program that increases the job opportunities of Egypt’s youth by training them in the use of information technology and digital media. These trainings have been held periodically to build upon the technical abilities of each student, giving them the skills necessary to compete with companies around the world. Computer literacy is critically important in all fields, from custodians who want to keep better track of their contractual obligations by digitizing them to lawyers who write better legal briefs using word processors. By learning how to use computers and other, more advanced technology, these youth have been better integrated into the global economy. However, our involvement did not consist of purely educational endeavors. We also took the time to ask around the country and discover what specific skills that local businesses needed from their employees. We knew that all parties would be more successful if the individual efforts are coordinated to fulfill broader development goals. To this end, HANDS has partnered with other organizations and institutions to build an online job-search portal that was modeled on similar ones in use around the world. The combined effect of the ETI program was that Egyptian employers were connected with skilled individuals, a match that generated increased productivity for many Egyptian businesses. Finally, once the initial 1,100 students received their training, each one held additional seminars for people in their communities. By doing so, we were able to reach exponentially more people all across Egypt. Thanks to our partners, those who were involved in the program now have important skills that are applicable to any career path.